...but reading should happen all year round! 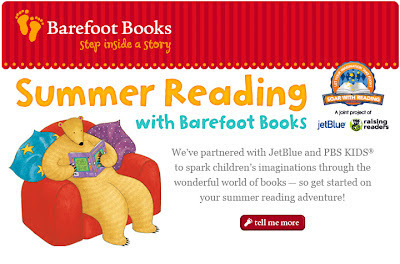 Barefoot Books has partnered with JetBlue and PBS Kids to help children's imagination soar with reading this summer. Go to the Soar with Reading website and share the title of your favorite children's book, and Barefoot will donate a book to a child in need! Barefoot has also put together a summer reading list that includes books for all ages and interests. From books for the whole family to chapter books for advanced readers, from traditional tales to modern storybook classics, from picture books for sharing to bilingual books in French and Spanish, you are sure to find something to spark your child's imagination this summer. 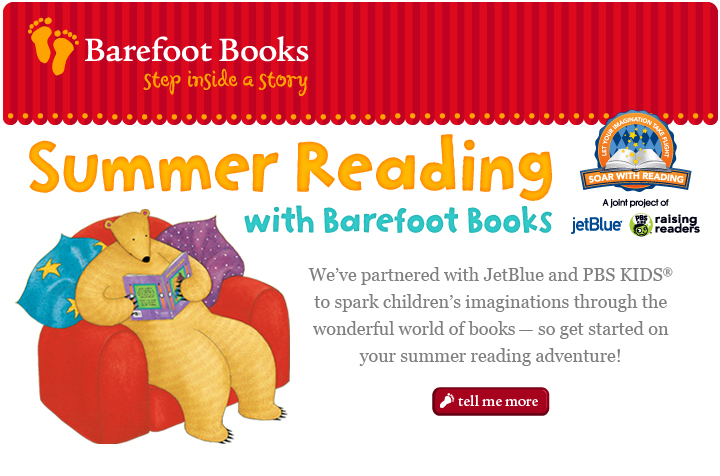 Go to the Barefoot Summer Reading page to find out more about the Soar with Reading partnership and to find the perfect summer reading list for your kids!